Another for-profit college has shut its doors, leaving many of its students with no degree and lots of debt. Argosy University, which operated brick-and-mortar campuses in Virginia, California, Illinois, Florida, Arizona, and other states had to turn out the lights after the U.S. Department of Education expelled it from the federal financial aid program. It follows another for-profit institution, Corinthian Colleges, into oblivion. Corinthian shut down in 2015 when it also lost access to federal financial aid. 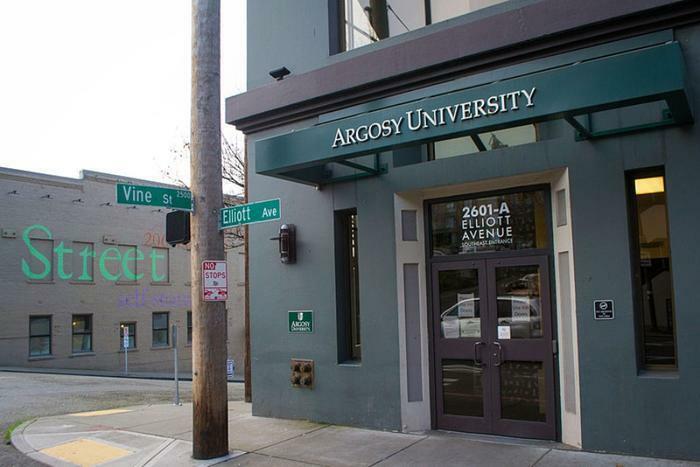 The Department of Education said it acted against Argosy when it allegedly failed to pay out more than $16 million, as required, to students to help defray living expenses. The Florida Attorney General’s Consumer Protection Division has issued a Consumer Alert to inform Florida students of their options. There were approximately 540 students enrolled at Argosy University’s Tampa campus at the beginning of the year. The Department of Education’s Office of Federal Student Aid has set up a webpage with information about the remedies available to Argosy students. Students can access the page here. Claremont Lincoln University (CLU), a non-profit, regionally accredited online university offering masters degrees, said it will try to accept as many Argosy University master's degree students as possible. CLU says it has set up an accelerated admissions process for Argosy master’s degree students and has declared all Argosy transfer students eligible for scholarships. Federal student loans are supposed to be forgiven if the feds determine a school defrauded its students, consumer attorneys say, but as we reported last year, that still hasn’t happened for some Corinthian students. The Project on Predatory Student Lending, a legal clinic at Harvard University, is suing the federal government on behalf of thousands of former Corinthian College students.